This piece will be on display until September 2018. 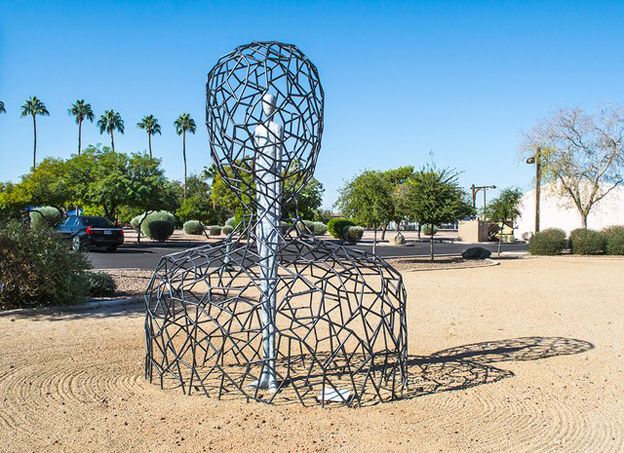 Connection Point is a sculptural representation of a line drawing capturing a quiet moment of reflection and contemplation. There are two figures made out of steel and bronze. The internal figure, cast in bronze, represents the self or individual. 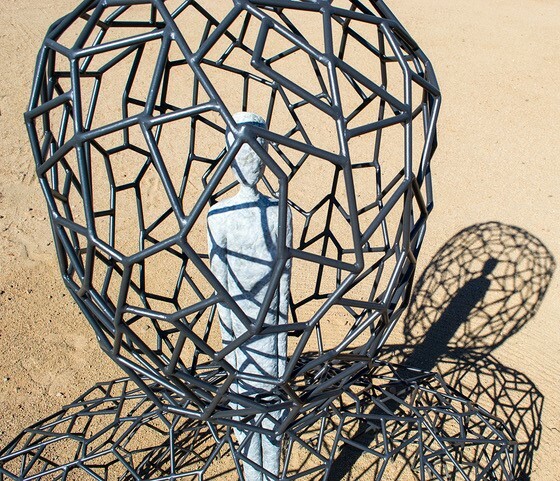 The outer structure, a web crafted from welded steel, represents the infinite connections we share with each other and the universe. The relationship between the internal and external figure reflects the relationship between oneself and greater humanity.